September 11, 2001 is a date no American should forget. The events of that day were so shocking. Terrorism on our shores on a scale so grand it was hard to comprehend. In the United States, we feel secure knowing horrendous activities such as these are usually detected BEFORE they happen. Many, many people lost their lives on that day. I was with my mom when it happened and we just stood shoulder to shoulder watching the TV in disbelief and weeping later in the day as the numbers kept pouring in of how many had lost their lives. My mom said, "Oh, my God, it must be the beginning of the end of the world!" 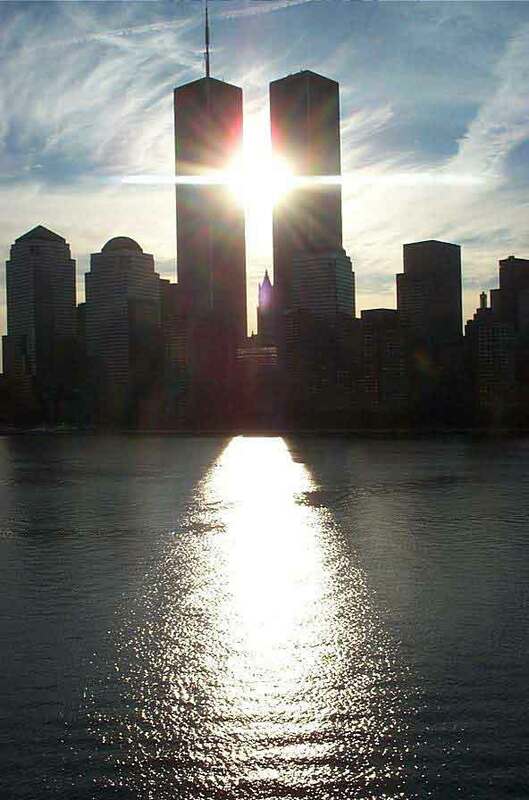 Do you know how many people lost their lives that day? 327 foreign nationals also perished. Statistics don't state how many lives were forever changed by the absence of those who died that day and in the following weeks. Those that lost their lives were mothers, fathers, sons and daughters, sisters and brothers and friends. If any of you have lost family members, you KNOW the devastating loss these families have gone through over the last 7 years. My heart goes out to all suffering losses on that sad day. September 11, 2001 began the "Loss of Innocence" for the United States. It's going to be very important to all who live in the United States to "watch our back" from now on. Report any suspect behavior. Comply willingly with laws instituted to help detect terrorism on airlines. Support those who are in the military keeping "the peace" in foreign countries; even if you don't agree they should be there they need our love and support. Have you ever thought of sending a care package or letter or card to voice that support? Here is a good place to start. Take time today to pray for those whose lives were lost that day, for those who are left with that loss and for the continued strength of a Nation that was dealt this blow. Watch this poignant piece about the collapse of the World Trade Center by Margaret Fabrizio, Dream Collapse.